You are currently browsing the CycleStreets blog archives for September, 2009. 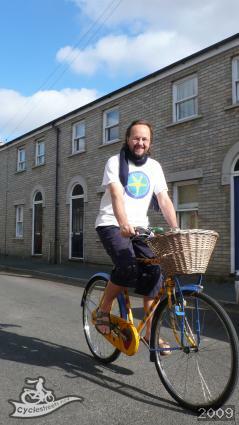 Please help get CycleStreets some funding: vote for our Digital Hero! We are pleased to announce that Simon, lead developer for CycleStreets, has reached the shortlist for the East Anglian section of the TalkTalk Digital Heroes Digital Heroes awards! In terms of funding more generally, we will shortly have a donation form available on the website to help with CycleStreets funding more generally, in particular for server costs. If you have any suggestions for grant-funding bodies to which we could apply, we would also be interested to know – do drop us a line. P.S. We’ve been working on some routing improvements, including hills recently. Simon will be along on this blog soon to say more about this, in a new series of ‘behind the scenes’ routing blog postings. Some CycleStreets contributors have said that adding photos to the photomap can be rather addictive. We’ve been working on a new feature that can help make this process even easier and potentially more accurate for those who have a GPS (Global Positioning System) device. Use the GPS to record a track while you’re out photographing. The location of each photo can be worked out roughly by comparing the time it was taken with the location recorded in the track at that time. We’ve tried to make the process as easy as possible, we’re calling it Geolocation by Synchronization and it is described fully in the help section. Another small new feature helps to quickly set the bearing when adding to the photomap. Each time the location of a photo is set by moving the marker a blue line and circle will appear. Move the mouse in the direction of the photo and click to set the bearing. This is also explained in more detail on the help pages.